Last year THP got a chance to review the expansion to the line of putters coming from Cleveland Golf. Most of our testers and readers alike agreed with us that when it came right down to it, for the money, there is not a better piece of equipment out there. The line, which was introduced in 2008, saw its popularity rise when PGA Tour Player Jerry Kelly used one that he purchased right of the rack to win the Zurich Classic. For many, the line was missing just one thing, uniqueness. UNTIL NOW! Cleveland Golf is set to release a new twist to the Classic putter line and that is the BRZ. The BRZ shapes and model numbers are virtually the same as the regular line but that is where the similarities end. Two upgrades are what separate these two twin lines…The BRZ finish and a copper face insert. -Putters are cast from 17-4 stainless steel. -Physical Vapor Desposition, or PVD is the process that was used to create the bronze/copper colored finish. -The insert is made from aluminum and has a layer of copper infused into the surface. -Release date of March 1, 2010. When the box arrived at the THP office we opened it up to reveal these putters. Immediately you see the red grip with the Cleveland name down the front and a black headcover, which differs from the red used in the regular Classic line. Attached to the headcover was a small plastic bag containing an oil treated cloth (more to come later). Once the velcro headcover is removed you start to question everything that you have learned about golf equipment in the past. 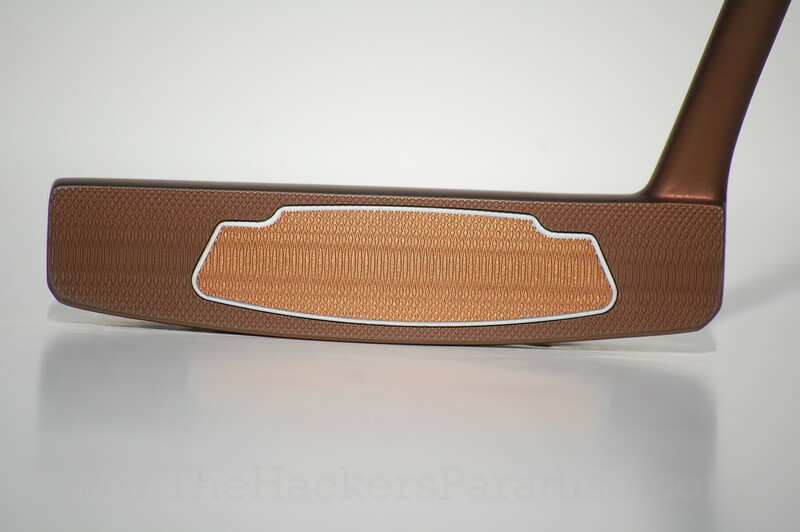 How can a putter that looks like this cost $89? 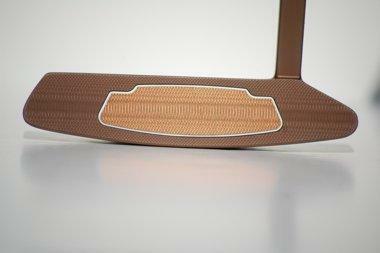 The entire head and hosel is done in the bronze PVD finish and is even more striking than we imagined. Like the original Classic line, all the pertinent info is stamped on the putter. Model number, lie angle, loft, and weight. Something we wish more companies would start to do. 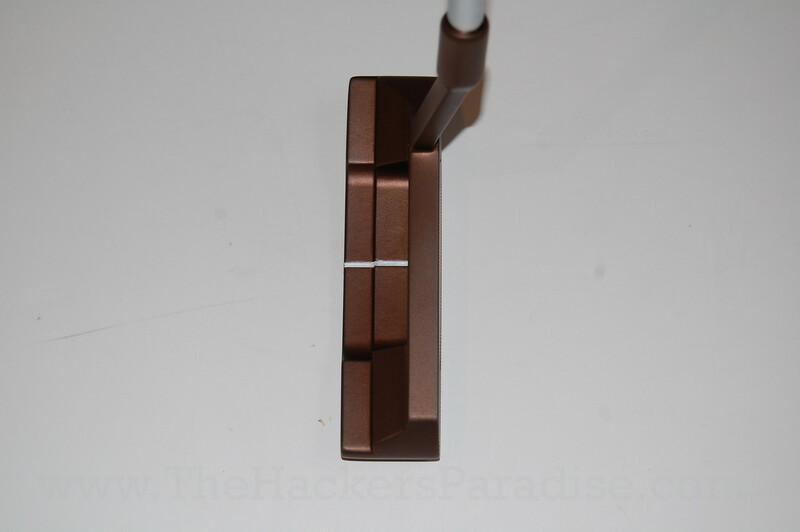 THP received a 4.5 and a 2 for this review and both have a single white alignment line that works perfectly with the copper/bronze contrast of the putter. The face is a lighter shade and shines beautifully with the aluminum insert and is also outlined in white. The overall look makes you wonder as mentioned before, how in the world can this putter be priced so low? For our testing THP was able to get 12 golfers together on the putting green to try this putter out. If you remember our last article on the Classic line, we tricked our testers into believing that Cleveland Golf had come out with their new high end putter line and while we did not throw that at the testers this time around, by the looks of their eyes when the headcovers came off, we clearly could have. All 12 golfers in unanimous fashion declared this line “gorgeous” and “perfect”. A quick note that only 4 of these golfers were involved in the original Classic putter testing so most had not tried the Cleveland putter line before. We lined up golf balls at 5, 10, 15, and 25 feet for each golfer and let them roll quite a few with the BRZ line. Each golfer took turns putting with their own putters, that ranged from high end milled collectibles to soft rubbery inserts, and then using these new putters from Cleveland. The four golfers that previously tested the original Classic line felt that the new BRZ insert was a bit more solid at impact and had a completely different feel, whereas the new testers just commented on how much they liked the roll the putters provided and the solid feedback that was generated in the hands. When the range testing was over THP did not find a single golfer that did not care for these. The two most common trends that every tester was commenting on were 1.) The looks which were described as “beautiful golf tools that work as well as they look” and 2.) the price that was described as “Showing that we are being ripped off by others”. The entire testing was eye opening to players because it was apparent that very few of them had ever considered the bronze finish in their equipment and so many were in love with the looks of it. From the day these arrived at the THP offices, I was eager to put one in my bag and take it out on the course. For my course testing I decided to go with the heel shafted mallet that is Model #2. Just like all of the models in the Classic line, the model #2 is a throwback of sorts. Each style was selected carefully by the company to fit into the line of a classic, or throwback to what golfers remember using. On the course I was able to get almost a full 9 rounds of golf in with the BRZ line and I have come away extremely impressed. When a company puts out a product that is certainly “for the consumers” it is alarming in some ways. Seeing how good a product can be and still be sub $100 is eye opening almost as much as the strikingly good looks of the BRZ line in its entirety. As mentioned above each putter comes with a pre-oiled cloth that is used to clean and protect the finish because like its name says, Classic, is all about showcasing the classic style that we remember so fondly. My first round was after a long rain and after a quick wipe down with the oil cloth, the putter looked brand new. The oil cloth will add a light shine to the club, but not a whole lot and if it protects it this well, we may never see any age on these, which is good and bad depending on what you are looking for. On the course the putter puts an extremely good roll on the ball as the testers pointed out and has a unique feel that is filled with immediate feedback. The insert is slightly harder than the original line, but in a good way really, in that the tone is solid and full and the feedback is perfect. The insert is not harsh at all, but is definitely different than that of the previous Classics we reviewed. The looks of this putter immediately gives you a sense of throwback confidence that was awe inspiring and very unexpected. The contrast of the white sight line together with the darker finish is wonderful and perfect for those bright days on the course. After numerous rounds I found myself liking the #2 more and more with each putt. There are some small things I would like to see in relation to this BRZ line and the first thing is that I would like to see the grip changed to either black or white, preferably white. The red while striking, does not flow with the finish and classic style that makes these what they are. I would also like to see a slightly different headcover in that while the black is timeless, it really does not flow with the coloring of the head and the fact that Cleveland is on to something pretty special here. However with all that being said, this putter is only $89 and for that, I will gladly spend the $10 to put a white grip on it and find a headcover that makes it stand out even more in the crowd than it already does. Could this putter make people question the putter market as a whole? Possibly. How can a company put out a putter that costs less than 1/3 of the price of the premium putters out there. Some will argue that different metals, technique, and more all add to the cost and I absolutely agree with all of that. At the same time, I have never come across a piece of equipment that has this much going for it at this low of a price. Something pretty amazing in the eyes of this reviewer and of course is my opinion alone, although most of the testers that were used in this review seemed to agree. Cleveland Golf has come out with a line that truly hits the nail on the head…Classic looks and styling, great feel, a look that is as nice as anything we have seen come out recently, and all for less than $90. For more information on this putter line or any other Cleveland Golf products, check out their website at www.clevelandgolf.com. Those pictures have me drooling. You are dead right about putters being too expensive when these are only $90. another informative review.It’s nice to see a company buck the trend and offer a premium putter at an affordable price. Love that bronze look. If they come out with a #4 (Anser 2 style) I may have to pick one up. May have to pick up the 4.5 anyway. And totally agree that putter prices have gotten out of control. 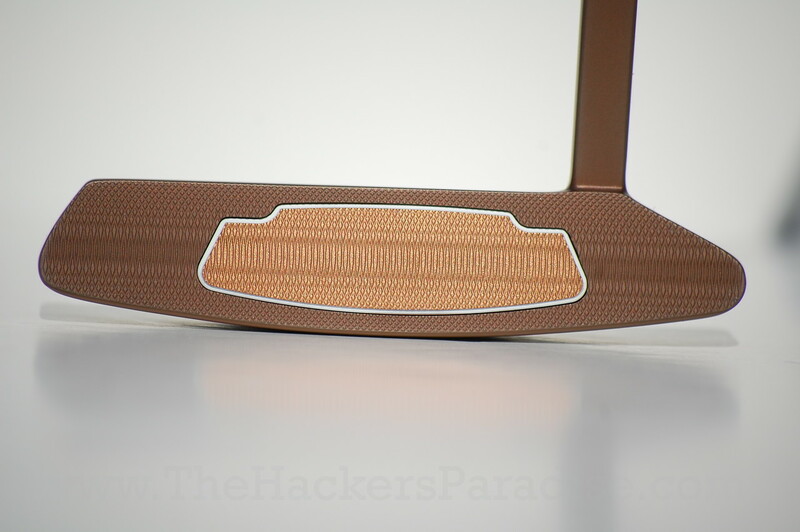 Nice to see a company making a really good looking putter that is affordable. Good job Cleveland! I like the relatively low MSRP! I love the look of the first putter. I am not too keen on the look of the second one, even though I am partial to heel-shafted putters…. 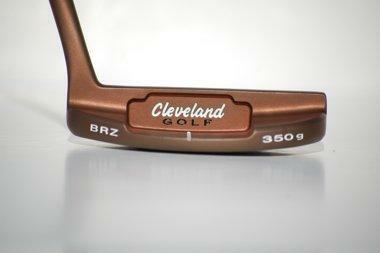 Kudos to Cleveland for bringing another premium putter to the market at a bargain price. Loved the pictures in this one guys. I am craving one of these badly. I am looking forward to trying these out. I love the look and hope they weather nicely. Something that adds some patena to it and looks antique like. It’s amazing Cleveland offers these at such a great price. Would love to see a center shaft model come out in the near future. Wow! These things are beautiful and for a reasonable price. Cleveland has been putting out great products to keep my interest recently. 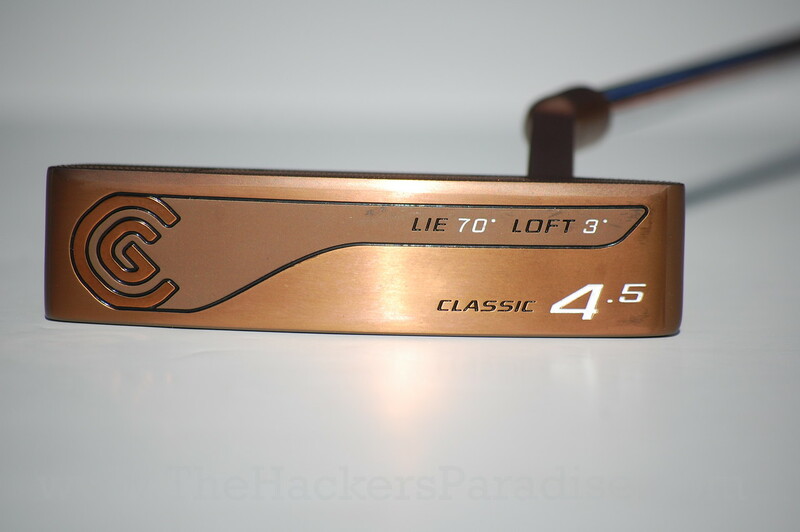 I’ve been playing a classic 1 for about a year now, and I’ve pretty much decided that I don’t ever need to buy a $300 putter. I’ve put mine side to side with every scotty cameron I can try out at my club, and I haven’t hit one yet that feels any better than my cleveland. I’m with the reviewer on the red grip though. I switched it out for a white ionomic about a month ago. I just bought this new putter and it was no question after a week of debate between 4.5 brz classic and the Nike IGNITE, I was 4/4 with the Cleveland putter during the promo and my feel for the putter and weight was right on. I went to the range yesterday and the feel was still there after the promo. So, for the money and the quality feel this putter will be in my bag for a long time to come.